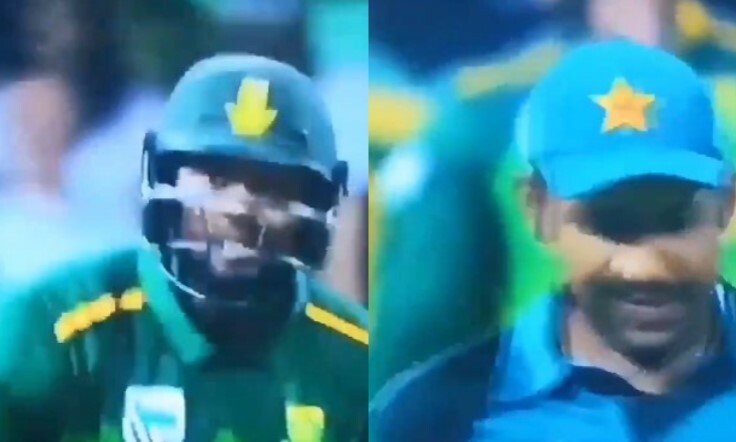 Pakistani cricket captain Sarfaraz Ahmed has apologised for his racist slur targeted at black South African player Andile Phehlukwayo during the second ODI in Durban on Tuesday. Faced with international outrage, Sarfaraz took to Twitter to issue his apology. He wrote, “I wish to extend my sincere apologies to any person who may have taken offence from my expression of frustration which was unfortunately caught by the stump mic during yesterday’s game against SA. My words were not directed towards anyone in particular and I certainly had no intention of upsetting anyone. Sarfaraz Ahmed is #Quran Hafiz. His words are #Racist in #SouthAfrica about a #SouthAfrican #Cricket Player. #Disgraceful! Meanwhile, the ICC has received a report from match referee Ranjan Madugalle and is currently considering the matter. While legal officials have been involved in the matter, it’s not clear what actions may be initiated against Sarfaraz.